So what are the options for eCommerce and Retail email marketing? You’ve likely heard about the statement released by Shopify. By May 12, 2019 Mailchimp will no longer have native integration with Shopify because of the poor merchant experience due to Mailchimp’s refusal to respect Shopify’s Partner Program Agreement. If you’re using Mailchimp to automate emails triggered by customers’ shopping behaviour in your Shopify store, the good news is – there are alternatives. When it comes to email automation, some Email Service Providers (ESP) are more powerful than others, some are easier to set up than others, and some have better reporting than others. Here’s a helpful comparison of the leading alternatives. Encourage new customers to shop again. To make a great first impression and bring new customers back to your store again, say thanks with a First-Time Email. Look after your best customers. Automate an email flow that encourages your best customers to keep shopping. If product recommendations in the first email doesn’t motivate a purchase, automatically follow it up with an exclusive discount just for them. Build loyal relationships on customers’ birthdays. A cheerful ‘Happy Birthday’ message or offer designed to delight your customers will get them shopping again, and help move them to more desirable segments. Win back At Risk customers. Bring back at risk customers with an automated email flow designed to win them back. If product recommendations in the first email doesn’t motivate a purchase, automatically follow up with a limited time discount email. Recover abandoned carts. 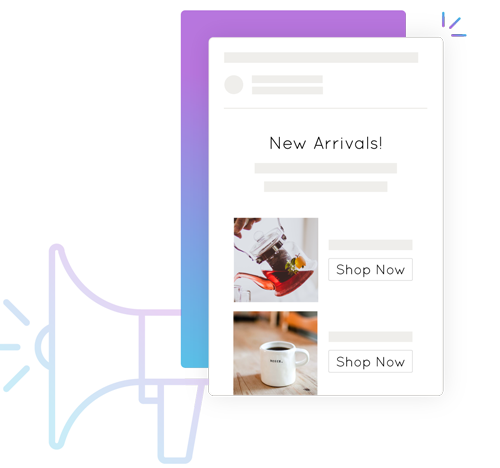 Automate great looking abandoned cart emails to be sent when your customers don’t complete a purchase and leave items in their cart. Go the extra mile and pull through product images from their cart and a button to take them back to complete their order. Send one-off email campaigns. Update your customers with on-brand, creative and easily built one-off email campaigns. Send and schedule newsletters, promotions, or new stock emails to your entire database or to a certain customer segment with just a few clicks. So how do you make the switch? All you need to do is install Marsello on the Shopify App store with a 14-day free trial (no payment details required). Marsello has been built for Shopify, so all of your customers will automatically sync. If you’re not ready to make the move away from Mailchimp, there’s an option for you too. Mailchimp will still continue to work, as long as you are automatically syncing your customer data to your Mailchimp list using a third party. Warning: don’t pay big bucks to get this built for you. You can get this for free using an app like Marsello on the free plan. If you want to put Mailchimp’s automation to use, you’ll want to use an app like this to sync more than just email address – you’ll need shopping behavior-based segmentation data too. Still can’t decide what to do? Ask our marketing experts for help.